If you are coming down to bid in our classic car auction next Friday then you will need a catalogue. These are available to buy from now or can be purchased on the day. If you are considering one of our remote bidding options then please don’t leave it until the last minute! TELEPHONE BIDDING –Telephone bidding costs £10. To register for telephone bidding go to the classic car downloads page on our website https://www.swva.co.uk/classic-car-downloads/ here you will find our Classic Car Telephone and Commission Bidding Form. Once you have completed the form you will need to post, fax or email it back to us then we will contact you to take a £500 (or £1000 if your bid is above £10,000) fully refundable deposit and the £10 fee. We will then call you during the sale and talk you through the bid(s). 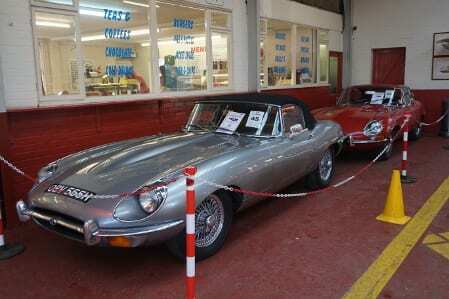 COMMISSION BIDDING – To register for commission bidding go to the classic car downloads page on our website https://www.swva.co.uk/classic-car-downloads/ here you will find our Classic Car Telephone and Commission Bidding Form. Once you have completed the form you will need to post, fax or email it back to us then we will contact you to take a £500 (or £1000 if your bid is above £10,000) fully refundable deposit. We will then bid on your behalf during the auction. We will start below your commission bid(s) and work our way up to your maximum bid, only if we receive other bids in the hall.